Queen Latifah and her mother Rita Owens attends the VH1's 'Dear Mama' taping at St. Bartholomew's Church on May 2, 2016 in New York City. The actress/singer announced Wednesday in an emotional tribute the death of her mother. Queen Latifah is mourning the loss of her mom. The actress shared news of Rita Owen's death in a statement to E! News on Wednesday, saying, "It is with a heavy heart that I share the news my mother, Rita Owens passed away today. Anyone that has ever met her knows what a bright light she was on this earth." "She was gentle, but strong, sweet, but sassy, worldy but pragmatic, a woman of great faith and certainly the love of my life," Latifah continued. "She had struggled with a heart condition for many years and her battle is now over. I am heart broken but know she is at peace. Thank you for your kindness, support and respect for our privacy at this time." Owens last joined her famous daughter on the red carpet in 2016. Queen Latifah's dad joins her on the "Tonight Show" couch to tell stories about being on the Newark police force and demonstrate a move on Jimmy Fallon that helped him disarm two men. According to People, Owens was diagnosed with heart failure in 2004. She was able to manage the condition for so long thanks to proper medication, a chest defibrillator and healthy diet low on salt and fats. 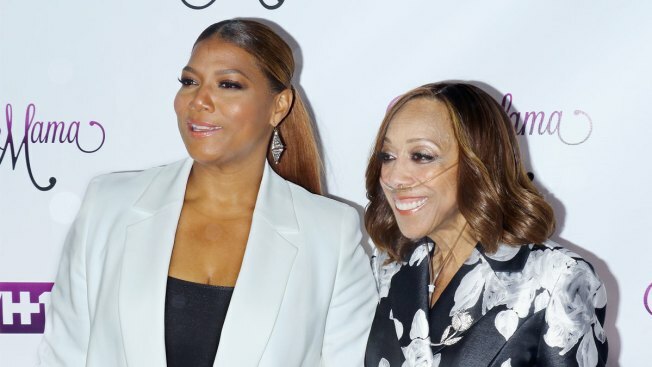 Latifah discussed her mom's health battle as recently as last September, telling the magazine, "I've just learned how much you can love a person and just how strong my mother is. I've come to respect her in ways you can't even imagine." "As a caregiver," the "Girls Trip" star reflected, "it's just like being a parent, like some things really don't matter. All the kind of frivolous things sort of fall to the side because there's something way more important than all that. And when we go through these things together as a family, I realize, these are the important things, these are the important moments."